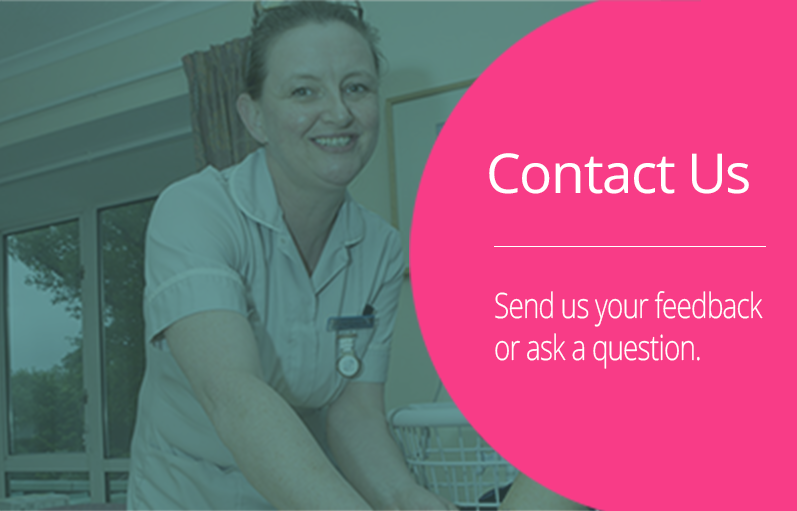 At Holy Cross Hospital, staff are encouraged and actively enabled to progress their careers through gathering experience, achieving formal qualifications and building their skills to help them develop in the direction they wish. General Manager at Holy Cross Hospital, Jo Speed has recently achieved Chartered Manager status. Chartered Manager is the highest status that can be achieved in the management profession. Recognised by all industries and across all sectors, it is awarded only by the Chartered Management Institute (CMI). Jo joined Holy Cross Hospital 1993 as an Assistant Catering Manager. Quickly promoted to Catering Manager, she developed an interest in health and safety and, as she took on more responsibility, eventually moved into the role of General Manager. Jo recognised she thrived on new challenges and enjoyed learning so, through a mixture of formal professional qualifications and expanding her experience at work, she developed her management and leadership skills as well as her health and safety knowledge. Among others, she completed an Advanced Apprenticeship in Leadership and Management and the CMI Level 5 Diploma in Leadership. It was through the appraisal process that she found her next challenge, to achieve Chartered status in management. It had taken Jo just under a year to pass her diploma but she didn’t consider embarking on the process to become chartered for another 18 months, allowing her to consolidate what she had learnt and put new skills into practice. Evidence of a commitment to CMI professional standards and continual professional development. 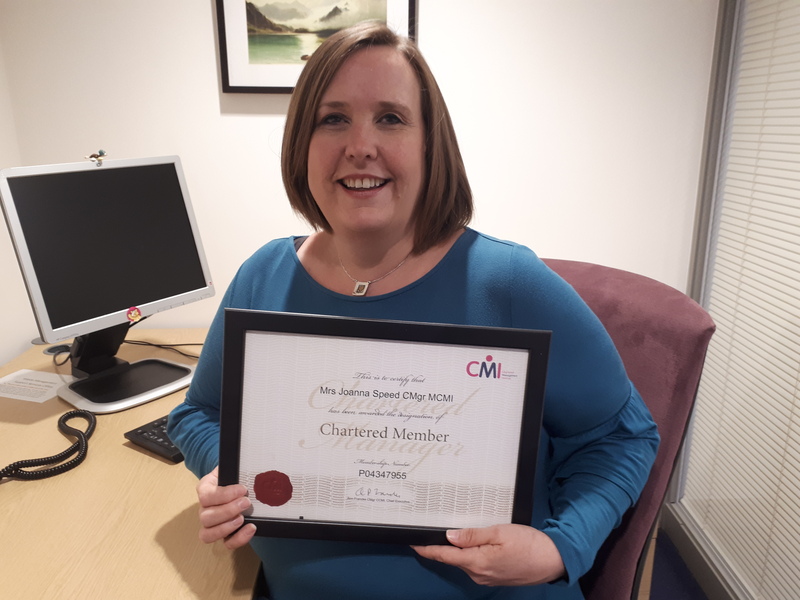 Having completed the CMI Level 5 Diploma, Jo was able to apply to take the fast track to becoming chartered. That is because by having the diploma, the CMI recognised that she has already achieved the first two criteria. And with well over three years of experience, she only needed to build up her portfolio of evidence to show how she demonstrated professional standards and professional development. A key part of maintaining a professional qualification or membership is keeping a record of professional development so this discipline was useful in helping her pull together her body of evidence and reflect on personal achievements, departmental achievement and gaps in her experience. Despite the demanding role of General Manager, Jo recognised she needed to look outside of Holy Cross to gather a fuller range of experience. She researched the local voluntary sector and found two organisations she felt could benefit from her expertise while challenging her further. Jo joined the board of trustees of a day care centre in Farnham and the board of management, also in the capacity of a trustee, of a care home in Farnborough. In both roles she used her management skills and health and safety knowledge for the benefit of the organisations while developing management skills she could apply at Holy Cross. In 2018, Jo was awarded her Chartered status. Chartered membership means continuing to professionally grow. Jo completed the Level 5 City and Guilds NVQ Diploma in Occupational Health and Safety Practice while working towards her Chartered status. Her next target is to become a Chartered Member of the Institute of Occupational Safety and Health.